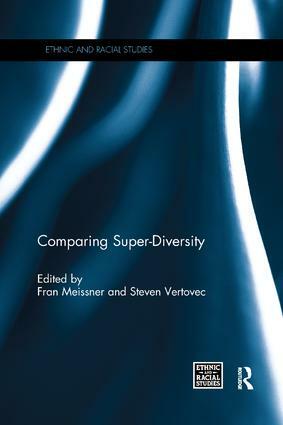 The concept of ‘super-diversity’ has received considerable attention since it was introduced in Ethnic and Racial Studies in 2007, reflecting a broadening interest in finding new ways to talk about contemporary social complexity. This book brings together a collection of essays which empirically and theoretically examine super-diversity and the multi-dimensional shifts in migration patterns to which the notion refers. These shifts entail a worldwide diversification of migration channels, differentiations of legal statuses, diverging patterns of gender and age, and variance in migrants’ human capital. Across the contributions, super-diversity is subject to two modes of comparison: (a) side-by-side studies contrasting different places and emergent conditions of super-diversity; and (b) juxtaposed arguments that have differentially found use in utilizing or criticizing ‘super-diversity’ descriptively, methodologically or with reference to policy and public practice. The contributions discuss super-diversity and its implications in nine cities located in eight countries and four continents. Fran Meissner is Max Weber Postdoctoral Fellow in the Department of Political and Social Sciences at the European University Institute, Florence, Italy. Steven Vertovec is Director of the Max Planck Institute for the Study of Religious and Ethnic Diversity, Göttingen, Germany.